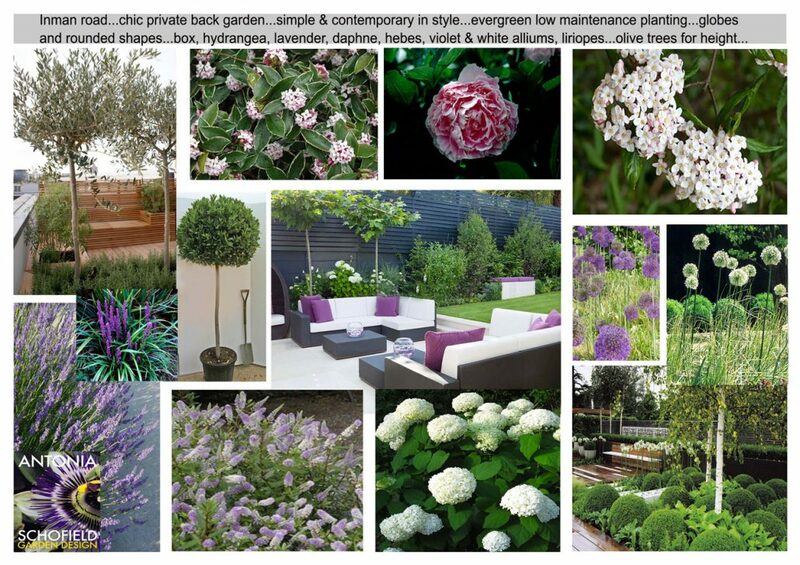 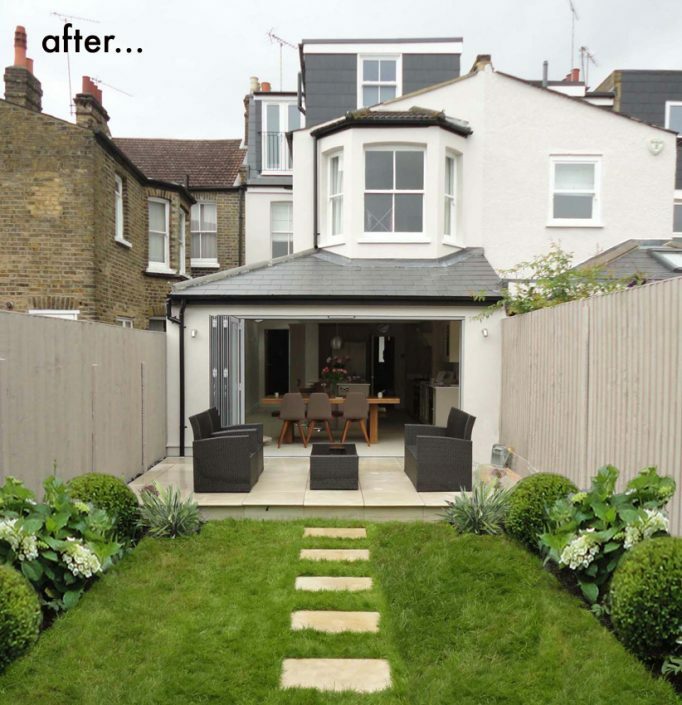 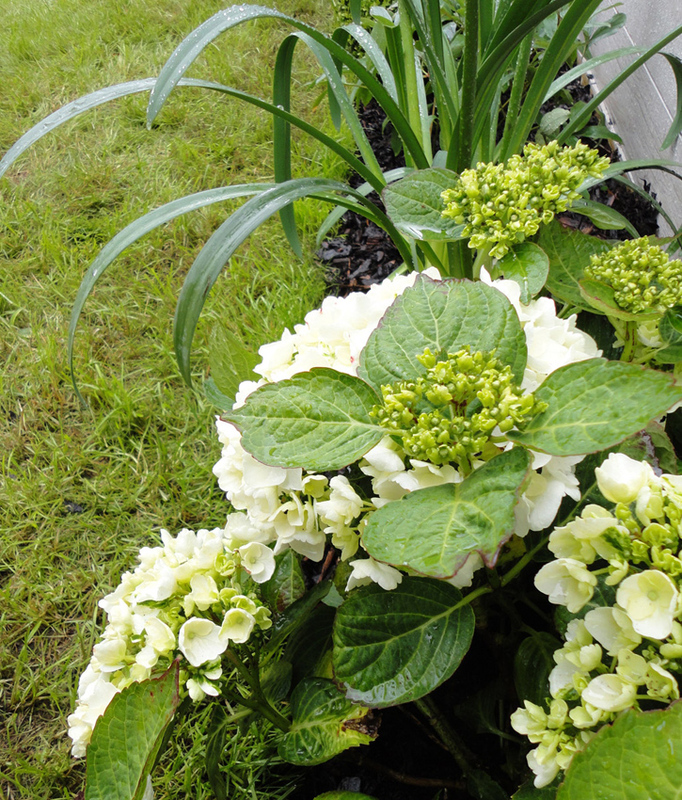 Busy clients who confessed to not having ‘green fingers’ needed a simple modern garden to flow from, and compliment the newly renovated interior. 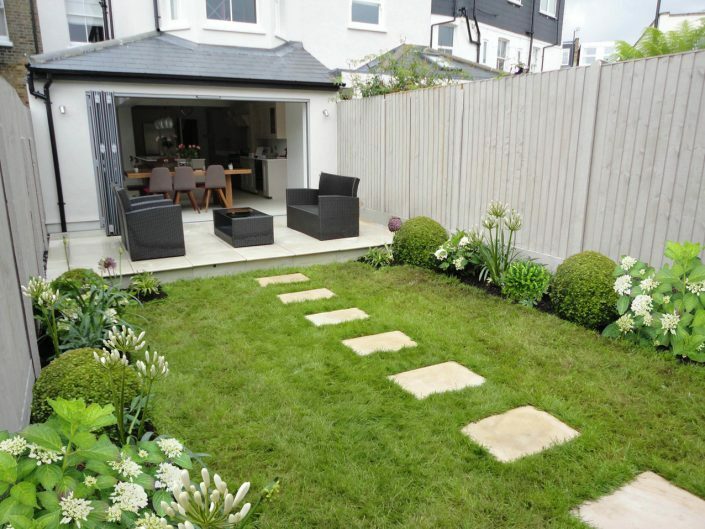 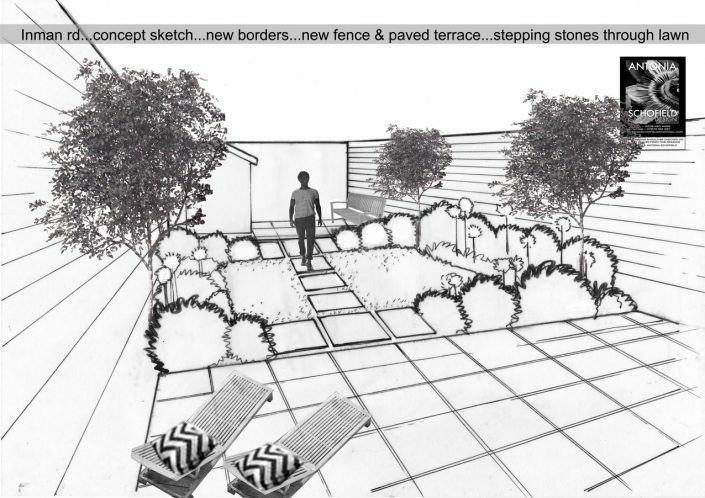 The existing garden was long and narrow with a very dark bottom end made darker and pokier by an old shed and a tree that was shading out the area and very soon would become far too big for the plot. 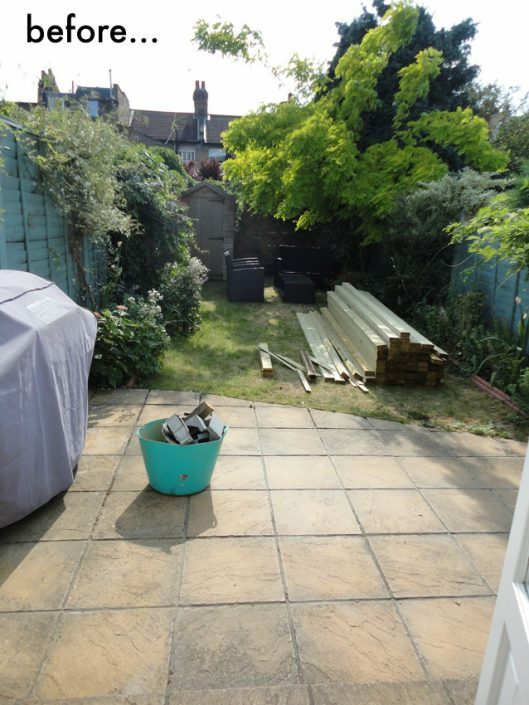 When the whole garden was cleared including that tree, the whole area was opened up to space and light. 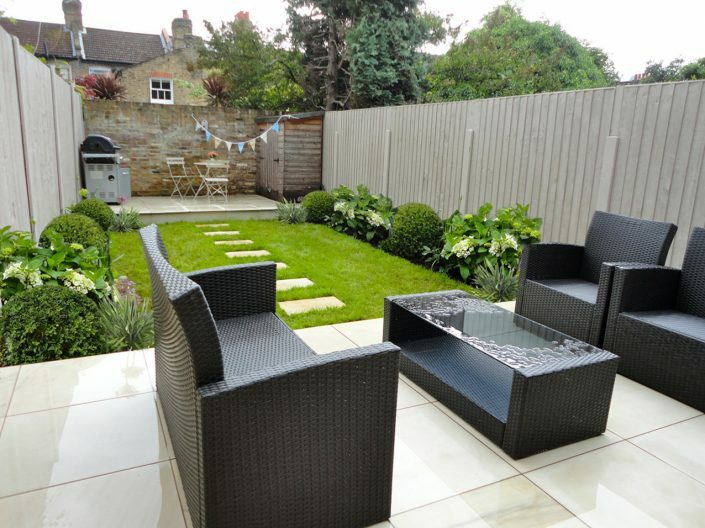 As the clients said they never used the end of the garden I was determined to remedy this, especially as the end of the garden was west facing so being a great spot for summer evenings. 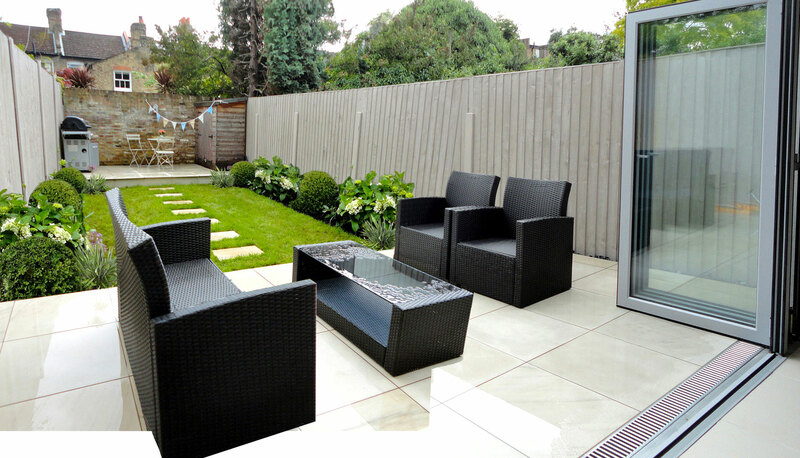 So the final scheme featured two terraces – one by the house giving a seamless flow of space from the new open plan kitchen diner flush out into the garden for lounging, and outdoor dining. 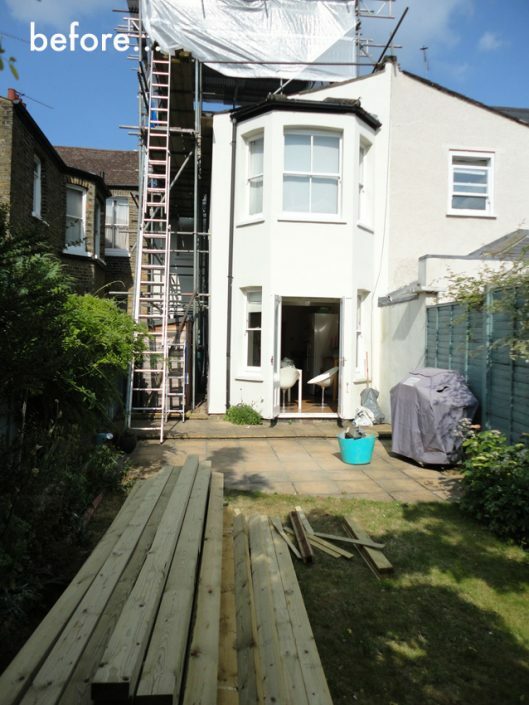 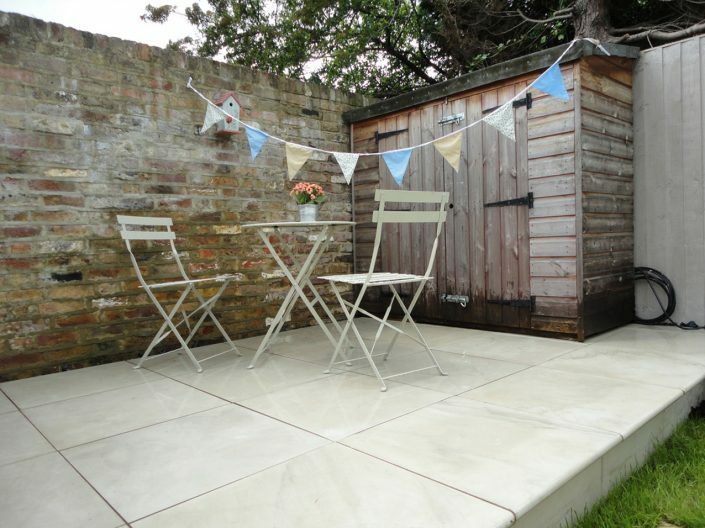 The second terrace at the end of the garden was a smaller version, perfect for BBQ’s and cold beers in the evening sun. 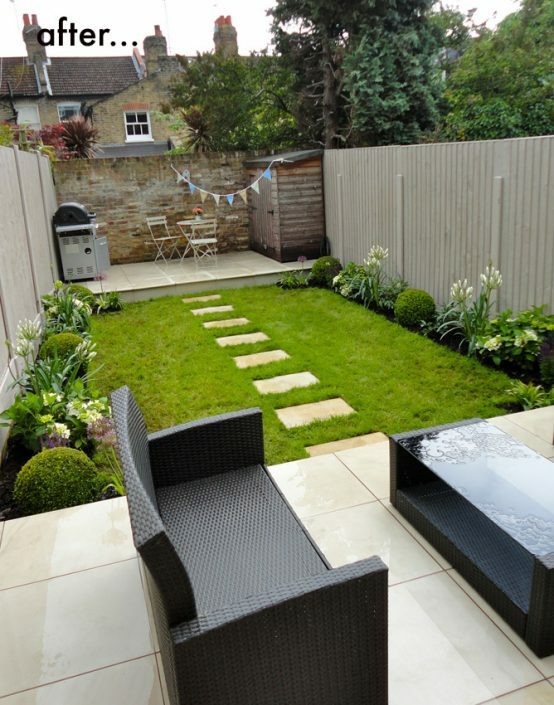 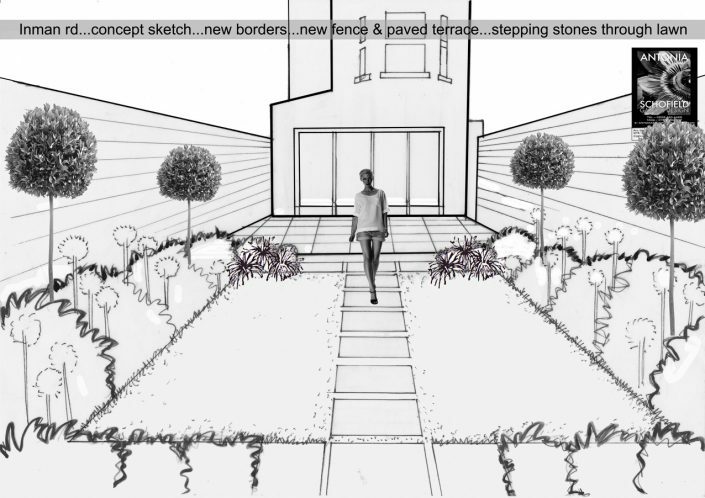 The planted area of the garden was reduced to a small lawn which gave the appearance of being sunken as the terraces either side were raised up, and with a stepping stone path linking the two terraces. Clean new vertical ship lapped style fences were painted a soft grey to completed the cool contemporary look. 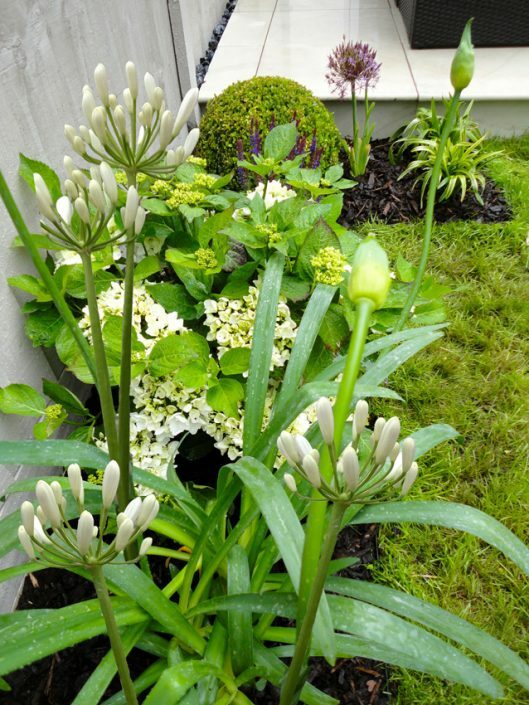 The borders were kept small and neat, and were given a simple fresh planting scheme of creamy whites and violets in dome shapes – box balls, fresh white hydrangeas, purple alliums & salvias, white agapanthus and liriopes.